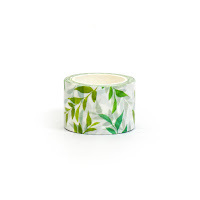 Thanks for stopping by again today for some more Washi inspiration. You should have arrived here from Sandra Dietrich's blog, if not I encourage you to go back and see her fabulous designs. 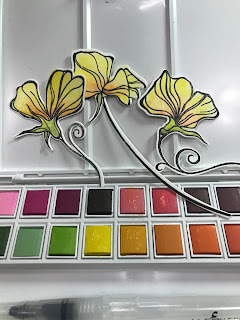 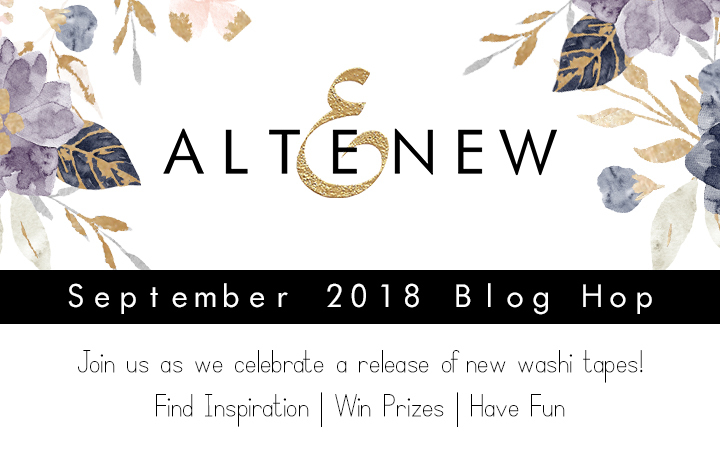 I am over the moon to be participating once again in an Altenew Blog Hop. 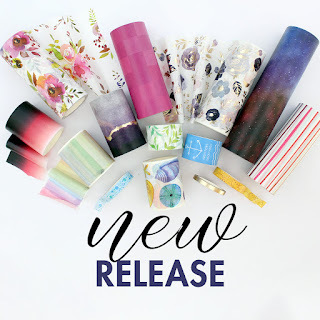 When asked to put together projects using the new Washi release I was excited. 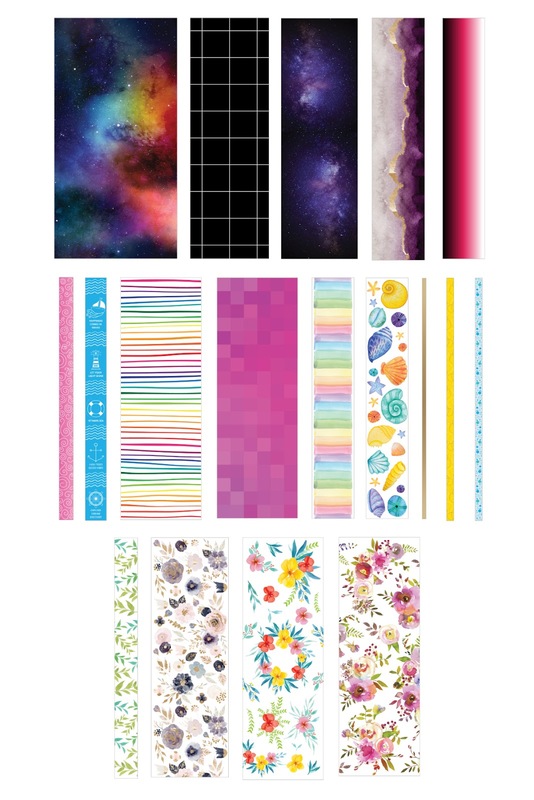 I have used the other Washi tapes that Altenew offers and was happy to see the new release. Washi is versatile and easy to use to create projects. 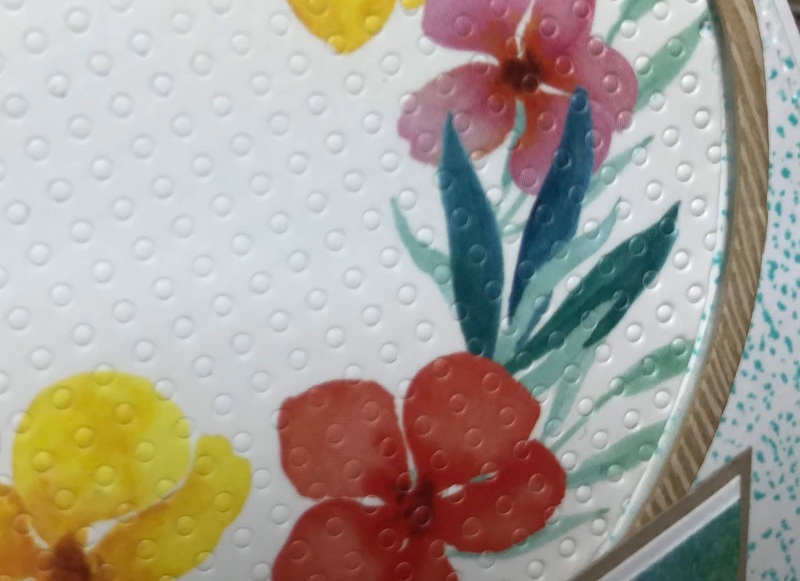 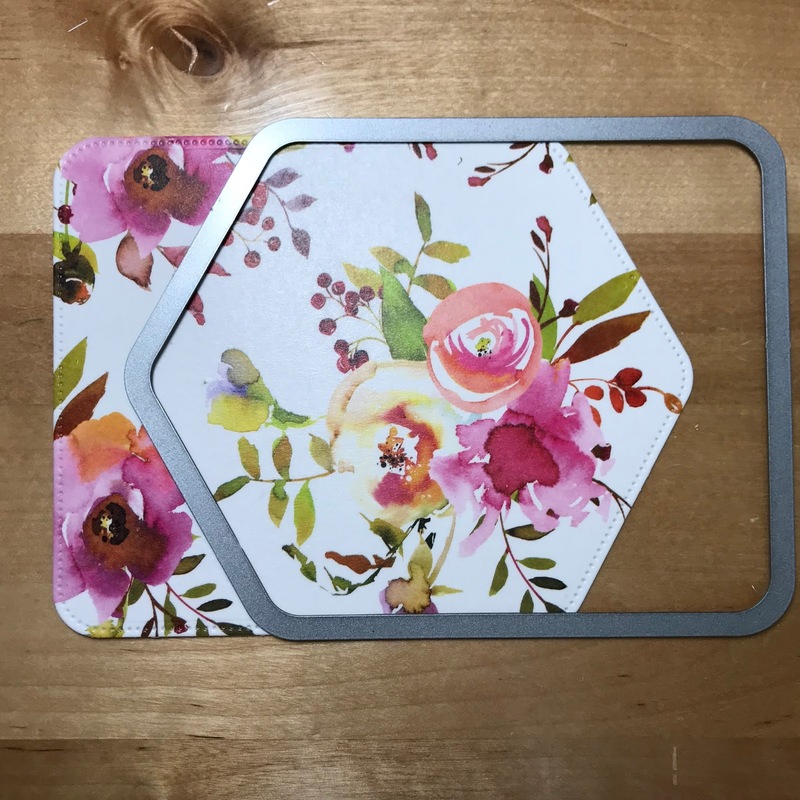 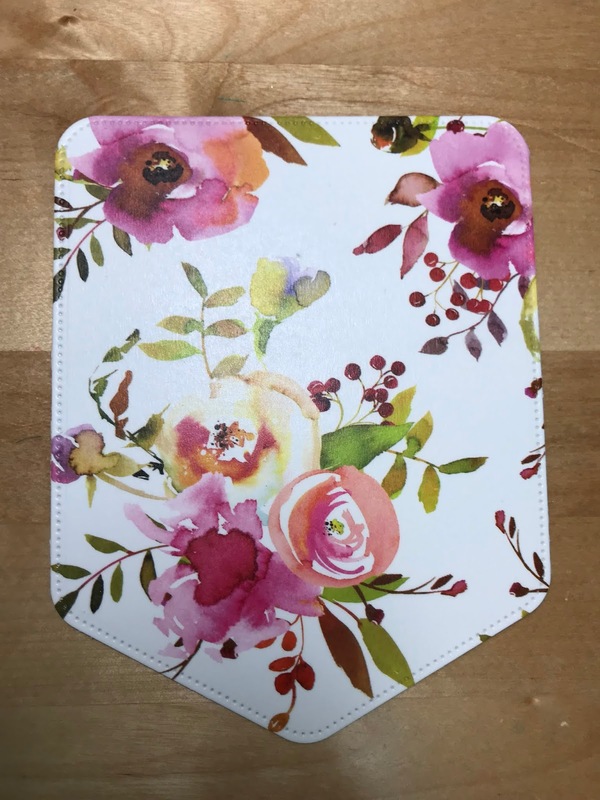 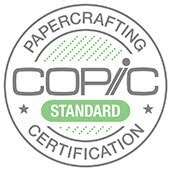 You can simply use the Washi and cover a card front, add an accent to a card or scrapbook page or even die cut images from paper covered with Washi. 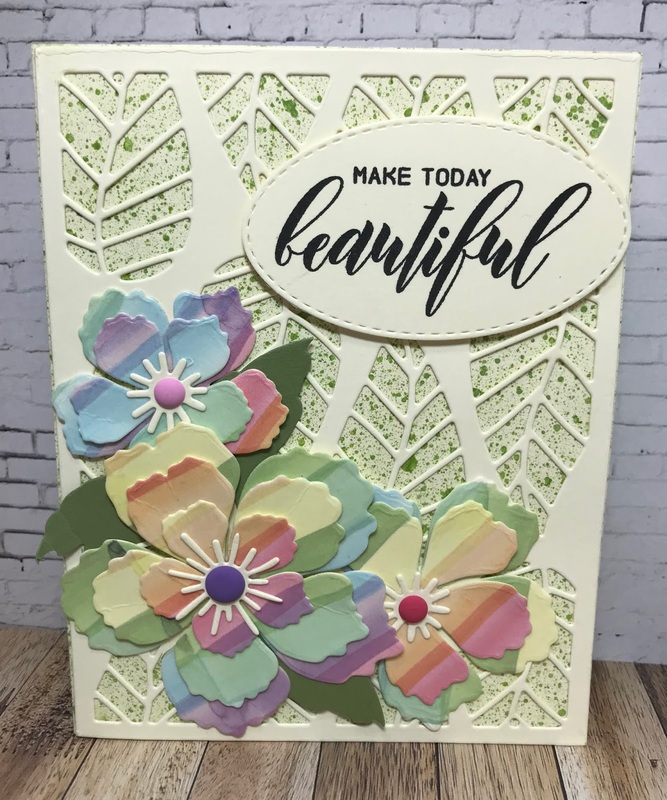 Now once I have the card front covered I will pull together a few finishing touches. 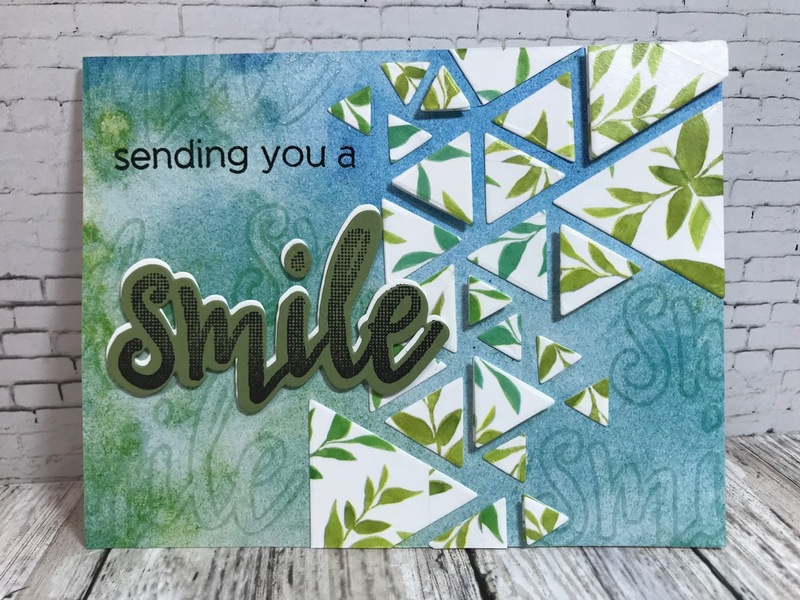 With the Create-A-Wreath die I cut the oval out of silver paper and several of the leaf dies out of white paper. The Hugs sentiment can be found in the Script Words Die set. I did cut several white hugs and one black hugs, then I stacked them and glued together. 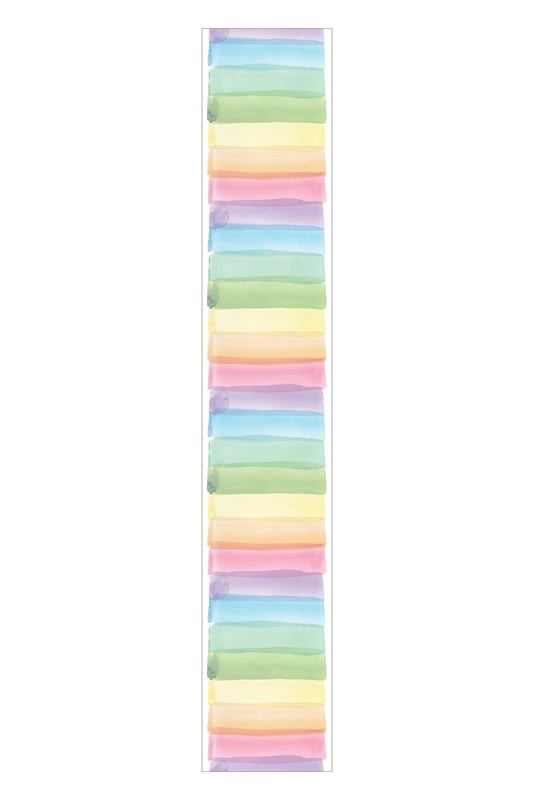 is the next Washi I want to introduce. 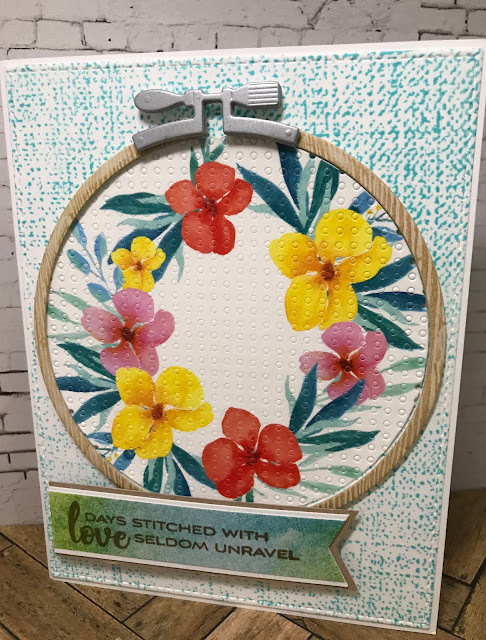 Using my Embroidery Hoop Die I selected a section of the Washi to fit inside the circle and picked the Pegboard Canvas Cover Die to create the appearance of cross-stitch fabric in the hoop. 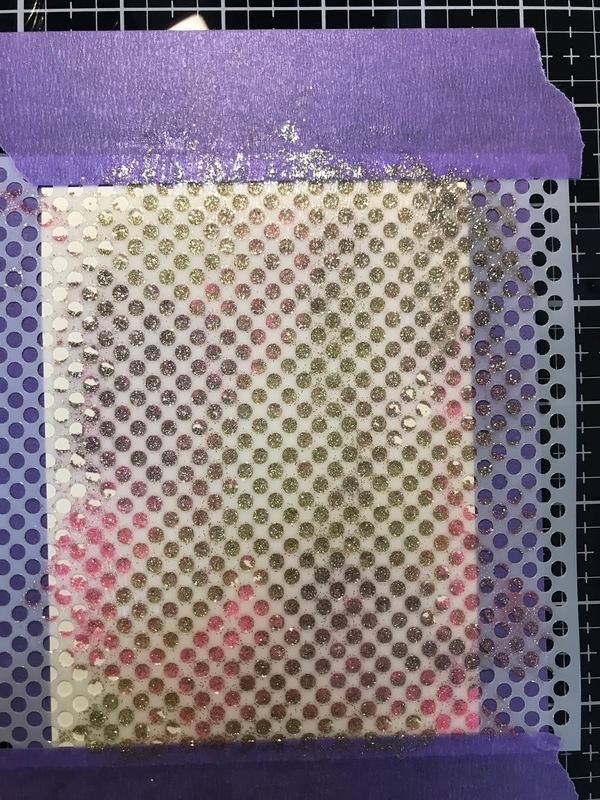 Wanting to make the card front look like fabric , I stamped the Rustic Linen Stamp using Dew Drop Ink and Aqualicious Ink. 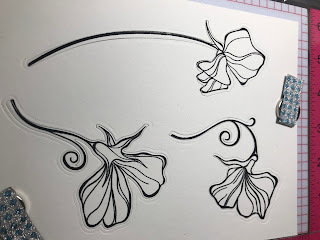 Altenew has speciality paper and I selected the Woodgrain Powder Paper and inked it up using Espresso Ink. Now I was able to die-cut the Circle Embroidery Hoop to make it look lie a real hoop. I cut the screw top closure out of some silver paper to make it look like metal. 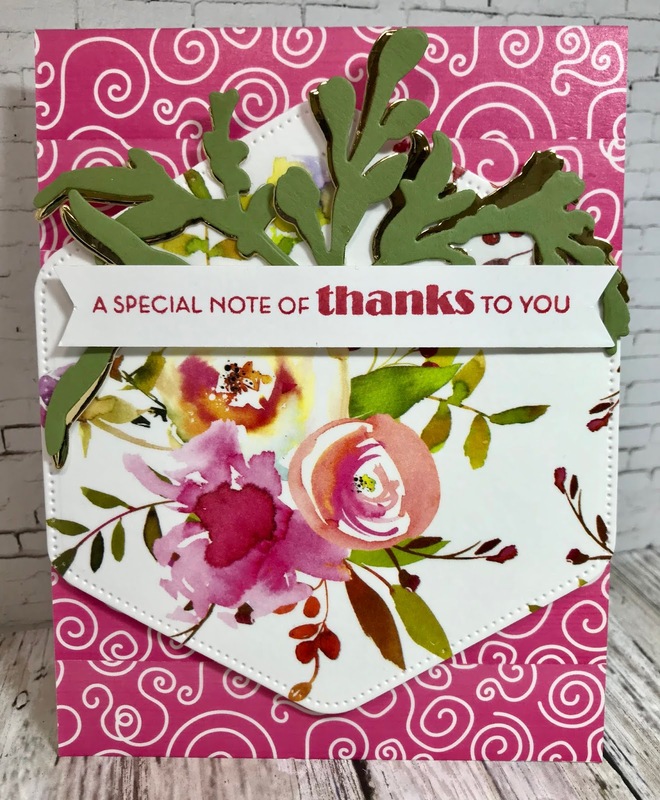 The finishing touches on this card include a sentiment from the Rustic Linen stamp set. 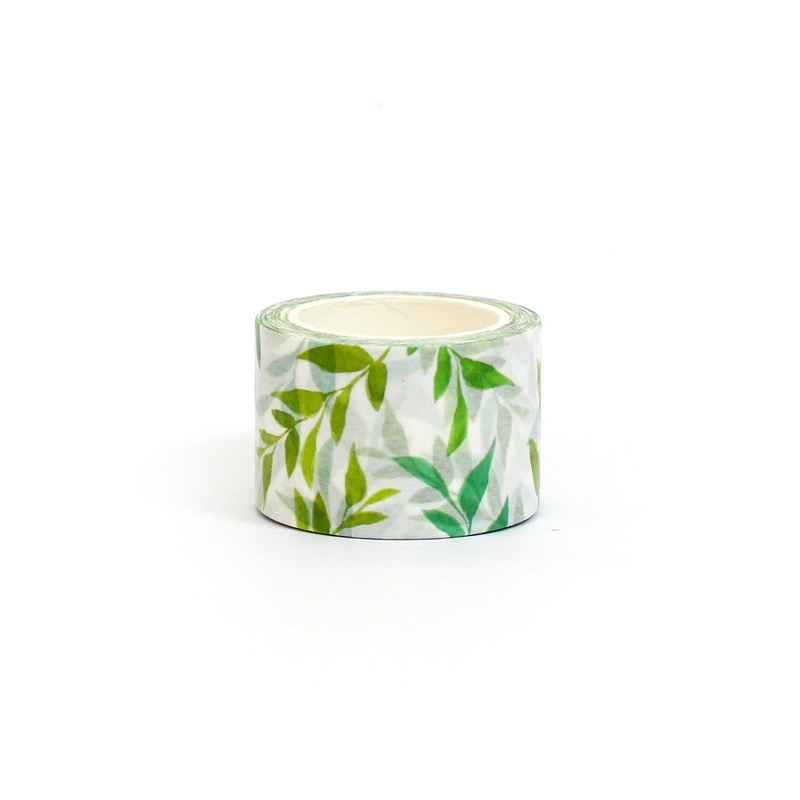 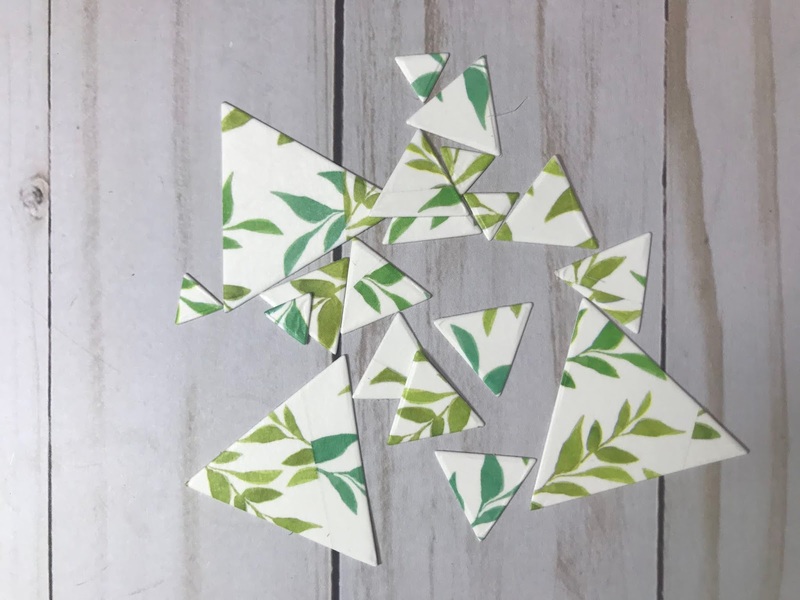 This next washi selection is a fun little leaf collection. 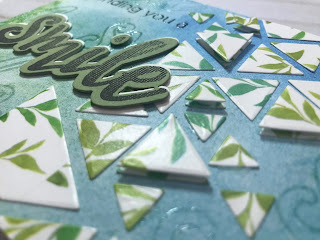 Wanting to show how versatile washi can be I decided to cover cardstock with the washi tape then I die cut lots of the triangle shapes in different sizes. 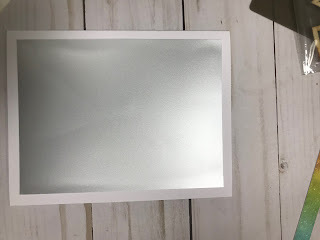 I still love a good 6 X 6 paper pad so I picked a background paper from the Altenew Reflections paper pad. 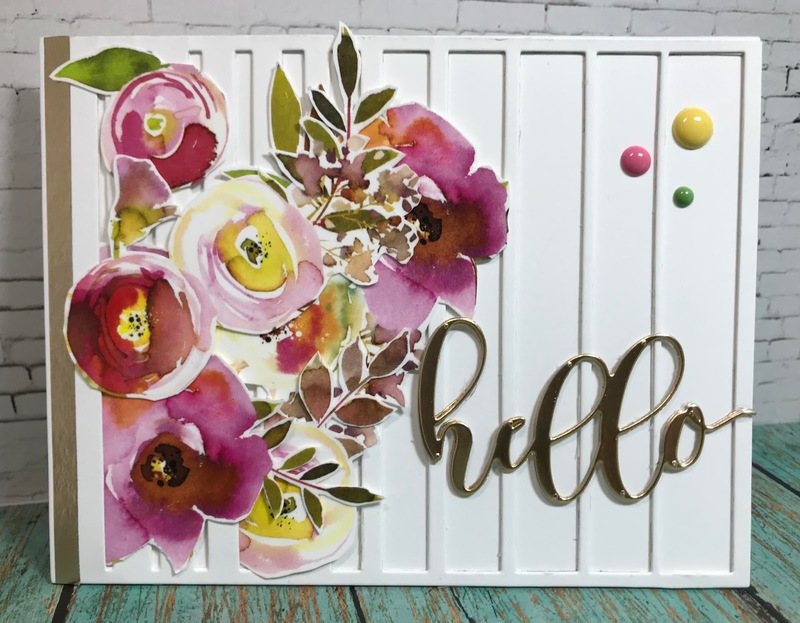 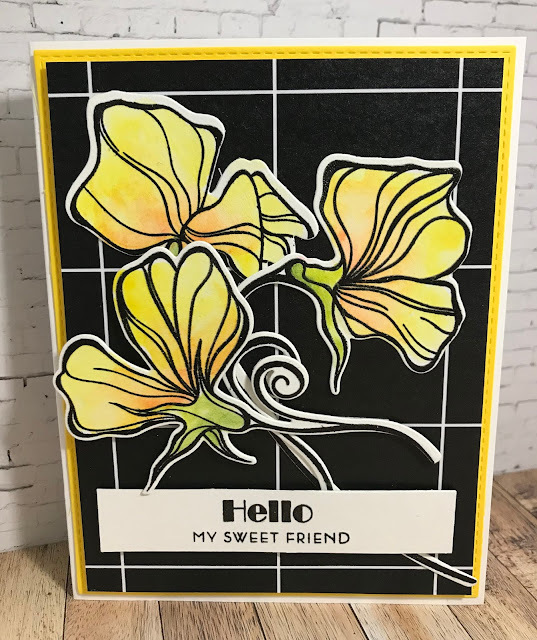 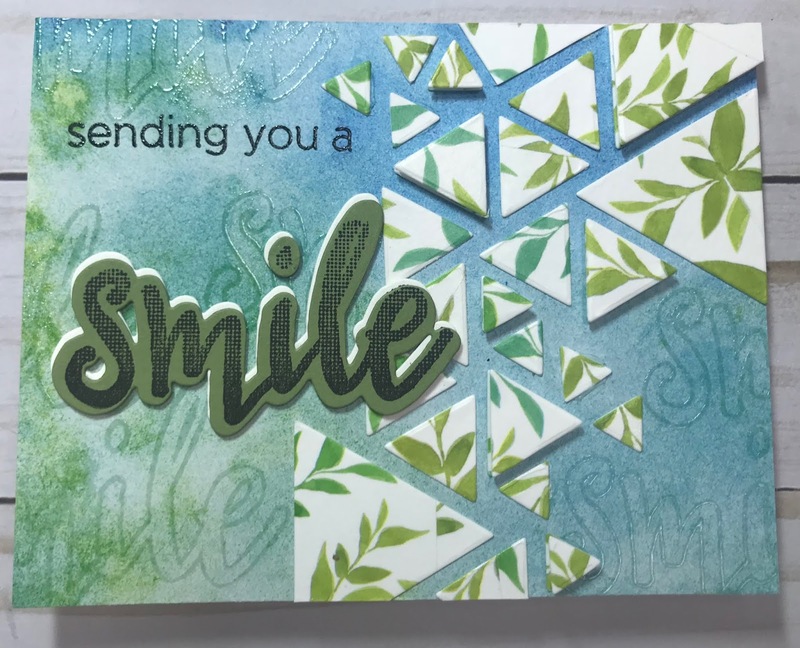 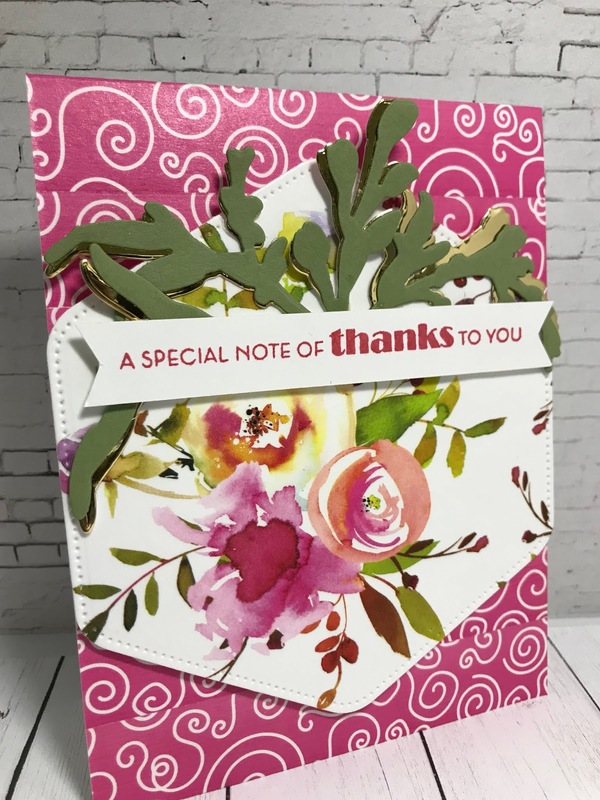 The Halftone Smile stamp and die set was a perfect choice for my sentiment and a way to add a little more interest to the card front backgound. I used clear embossing ink and powder to add the word 'smile' on the background paper. 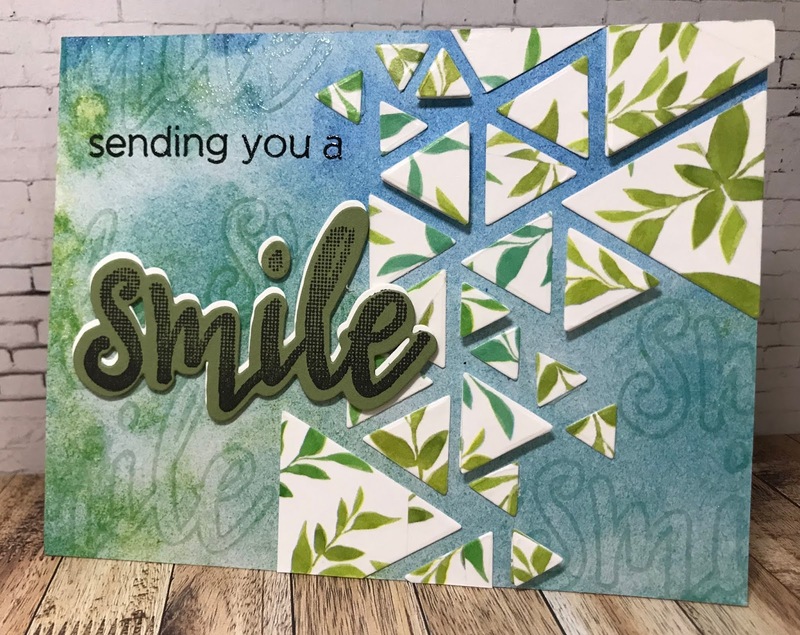 I stamped the Halftone Smile using black ink on a dark green paper and die-cut the smile out of white cardstock to mount on the back. Now to place all the die-cut triangles on the cardfront. 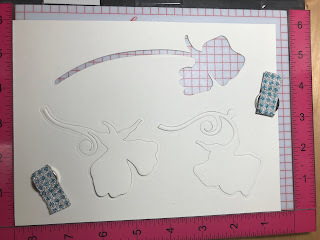 I laid them out and used foam tape under some and then directly glued others. 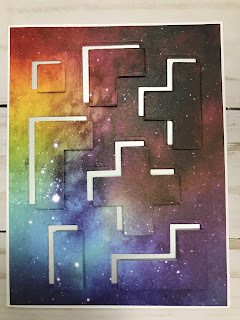 This was something like a puzzle and I really like the finished card. 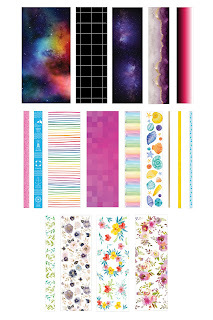 When I saw this Watercolor Nebula Washi Tape I thought, oh WOW! Galaxy backgrounds are so popular right now and although we have some great inks to create those background not everyone can create positive results or maybe you don't have the time. 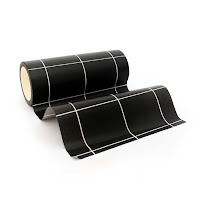 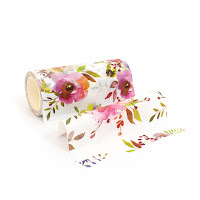 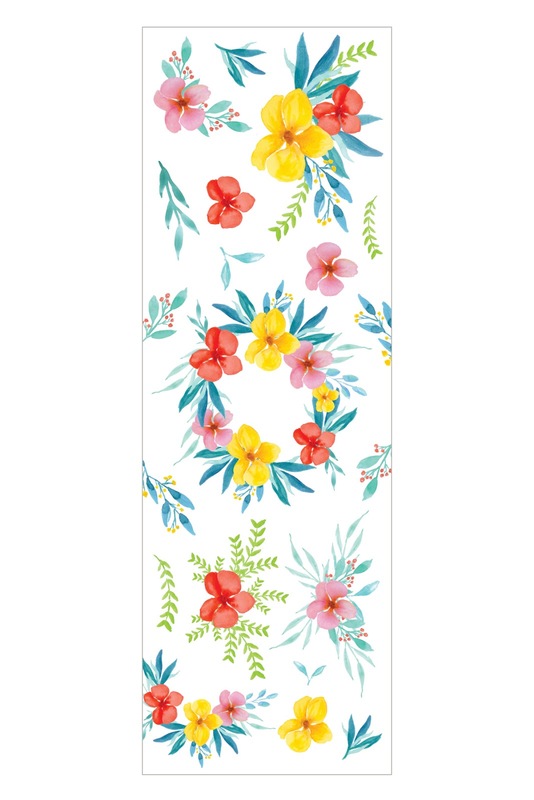 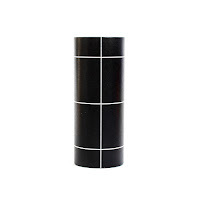 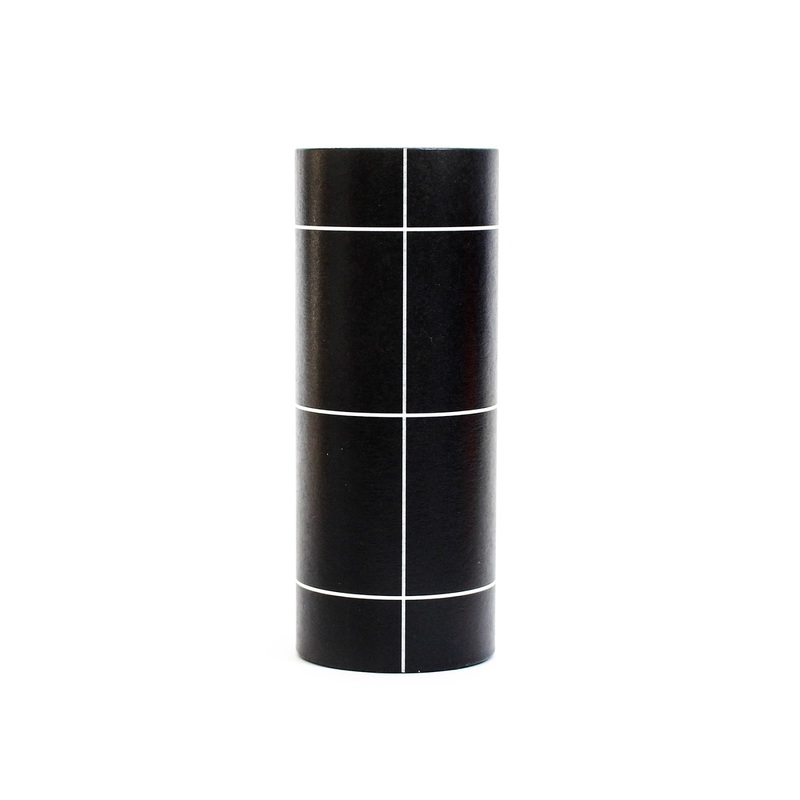 This Washi is so cool and makes card making fast and easy. 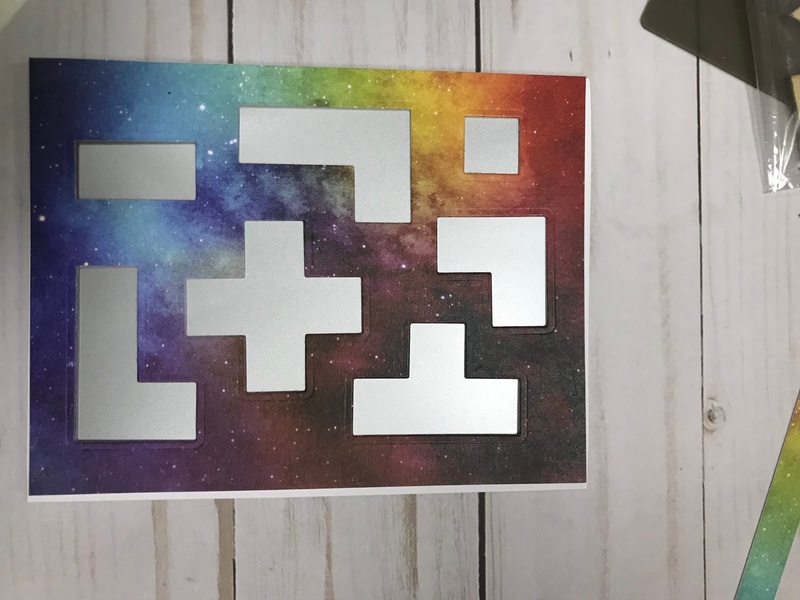 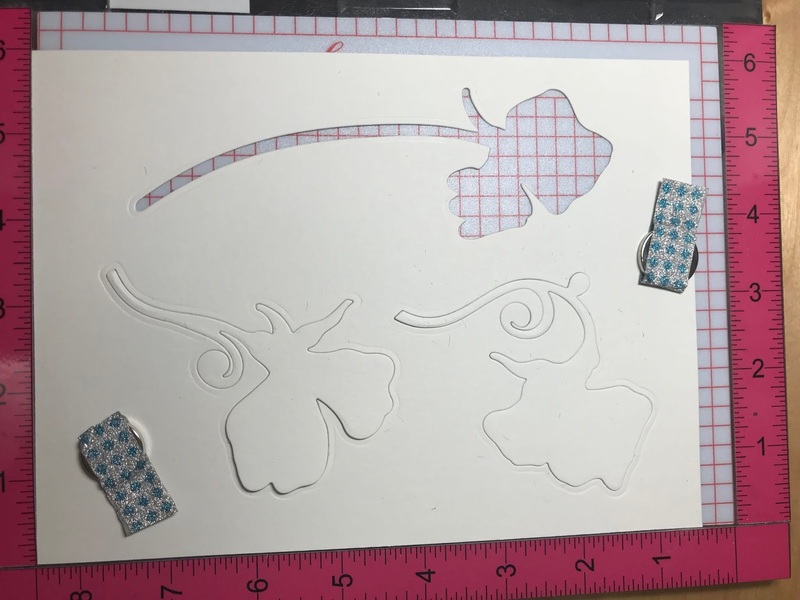 I used a silver paper as the base under my washi paper after I die-cut the shapes. I adhered the washi cardfront to the silver base and then attached the die-cut pieces using foam tape, offsetting them to show a silver border. 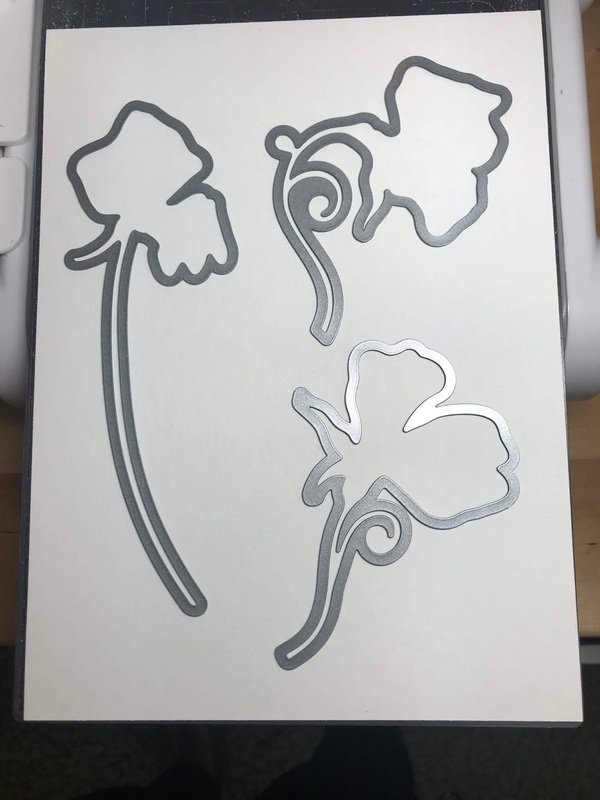 Now for some finishing touches. 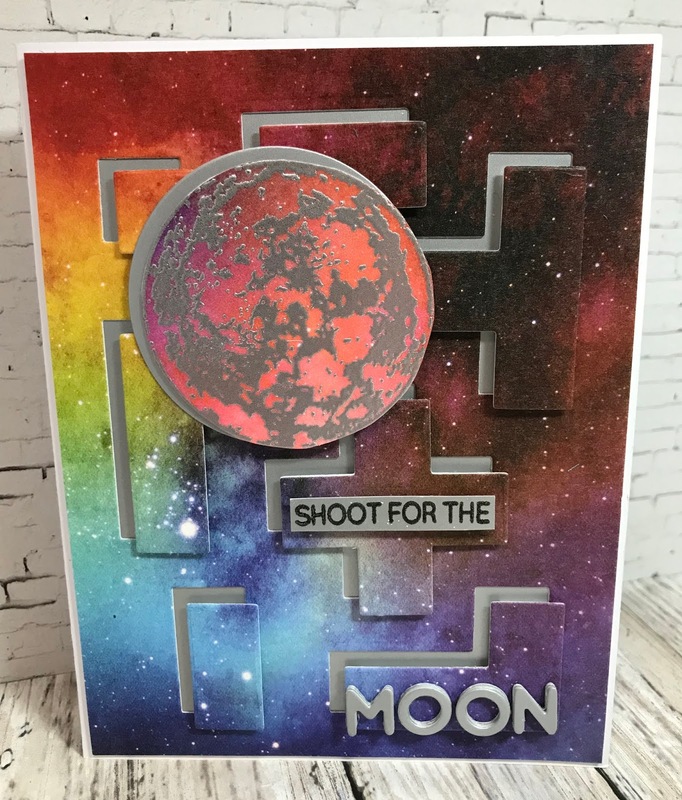 I selected the Altenew To the Moon stamp & die set for the world image and the sentiment. I used another piece of cardstock with washi applied and stamped the world images using clear embossing ink. 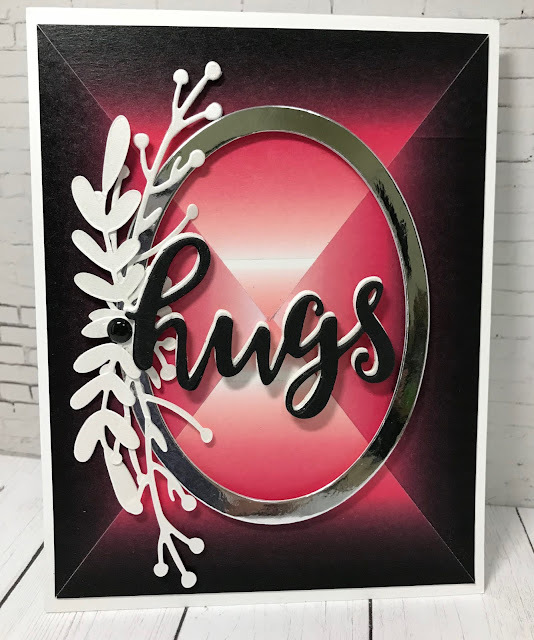 I used Altenew Antique Silver embossing powder over the stamped image. 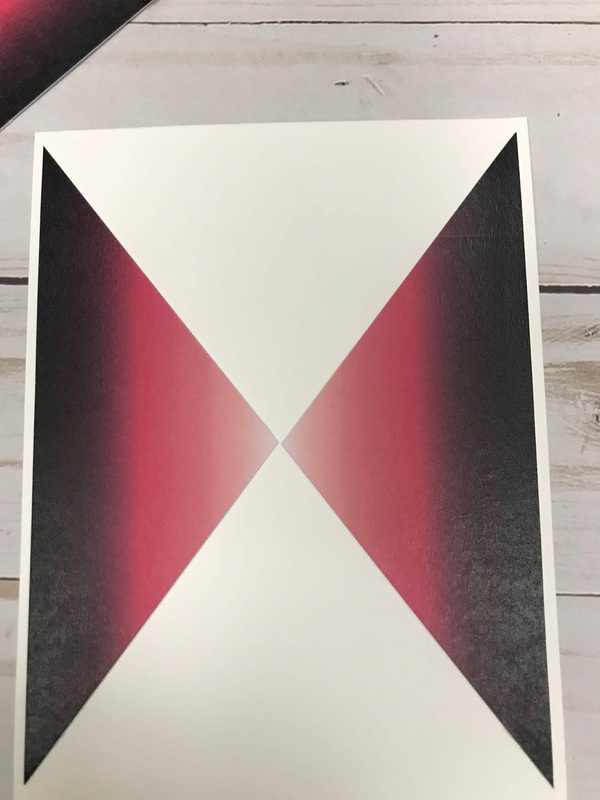 *note* when using your heat gun to emboss, do this slowly and from both the front and backside. 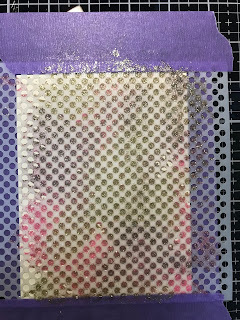 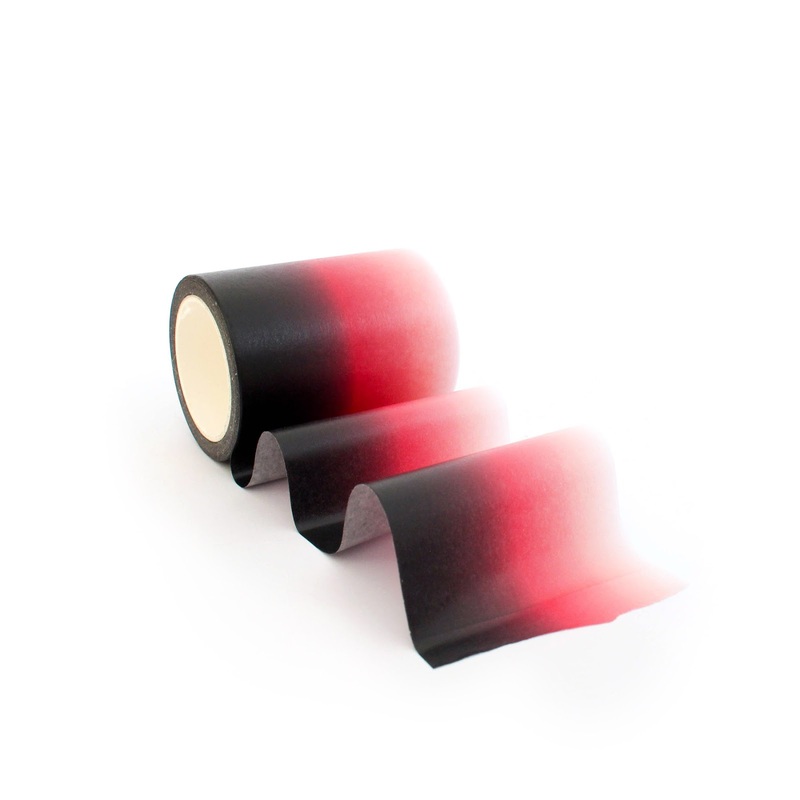 You don't want to melt the washi tape so I let the image cool a little and continued until the powder was melted. 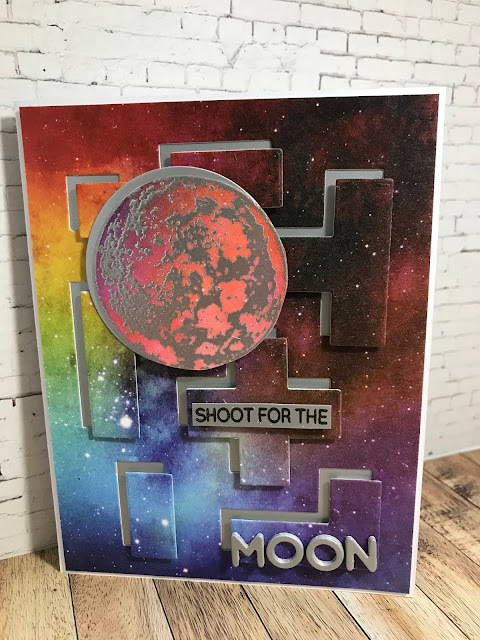 I cut the 'moon' letters three times from silver paper and then stacked them for dimension. For this next card I used 2 of the new Washi tape products. 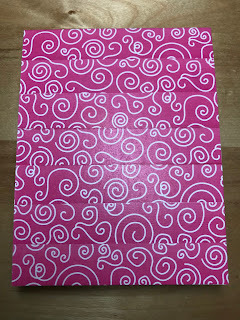 I covered the background with strips of the Swirlies in Pink Washi. 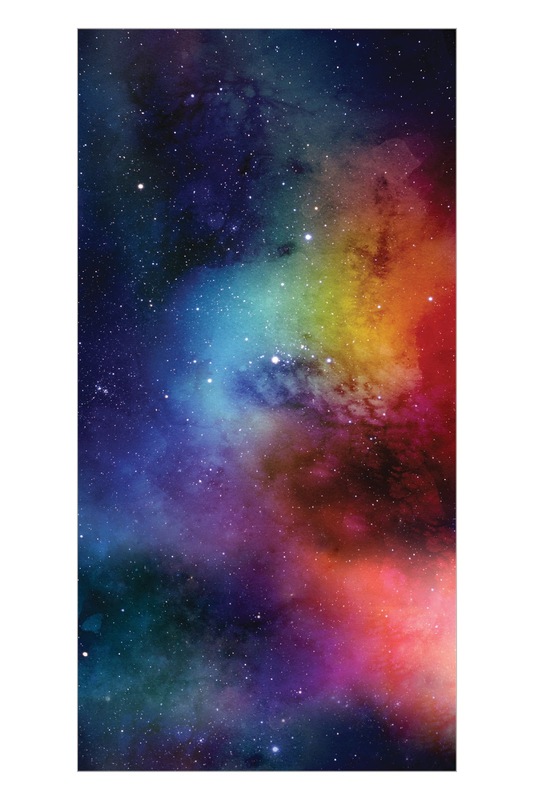 Altenew Pocket Banner panel. I then placed the pocket banner die over the panel and cut it one more time to create a hexagon shape. 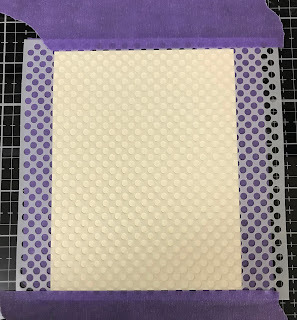 Using fun foam I cut a hexagon slightly smaller and adhered it to the back of the decorative hexagon. I mounted this to the card front and added the accent leaves. Altenew Wildflower Garden Die was used, cutting pieces from green cardstock and gold cardstock. 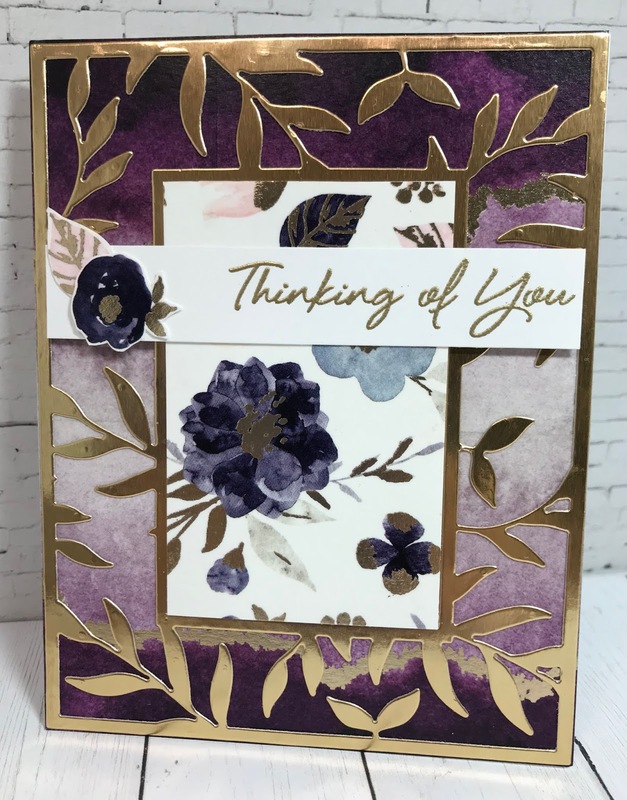 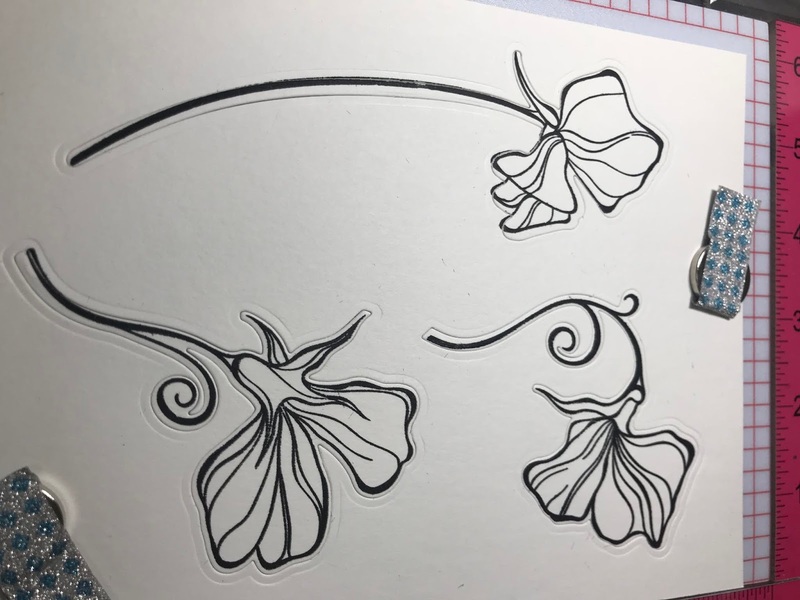 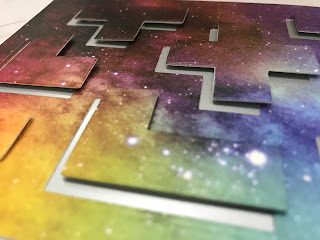 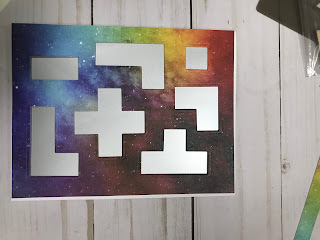 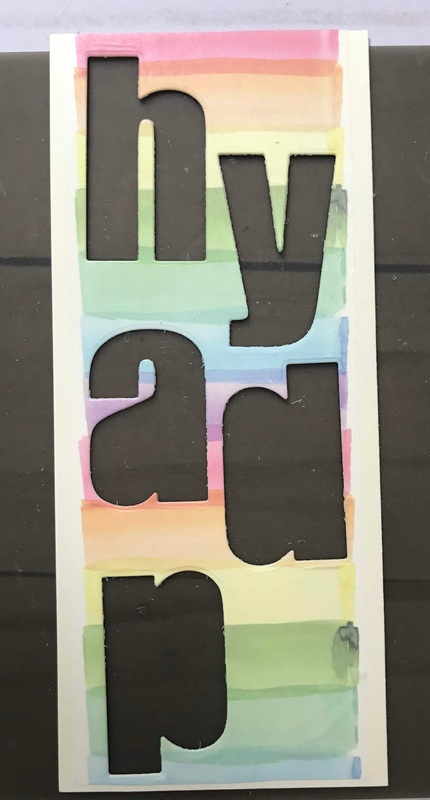 How simple and easy does this make card making. Just cover the background panel, then choose a fun image, I selected Altenew Sweetest Peas and watercolored a few flowers. 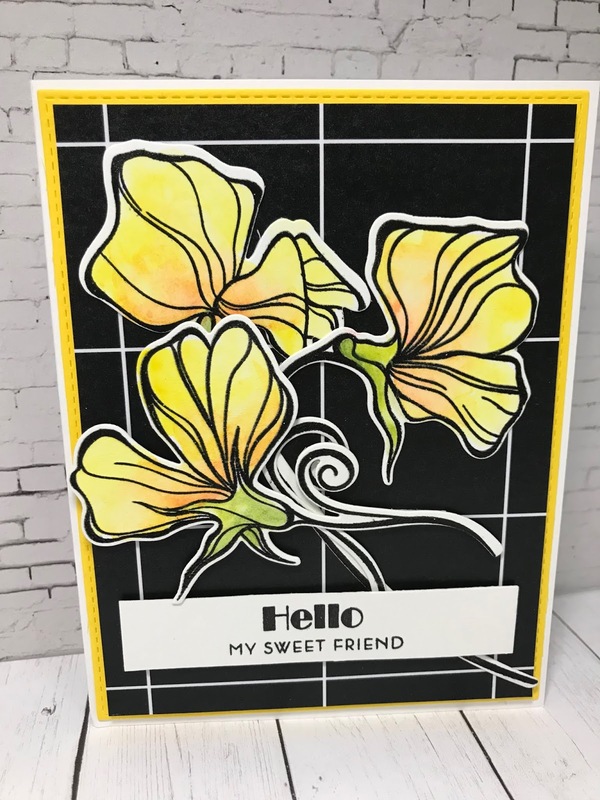 The sentiment is also from that set and was stamped with black ink to make this a clean and simple card. I used Altenew Watercolor Pan colors and did very fast and simple coloring. 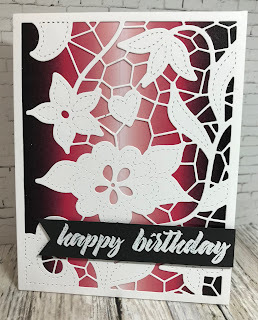 I love a card that I can put together in 30 minuets that is so simple. 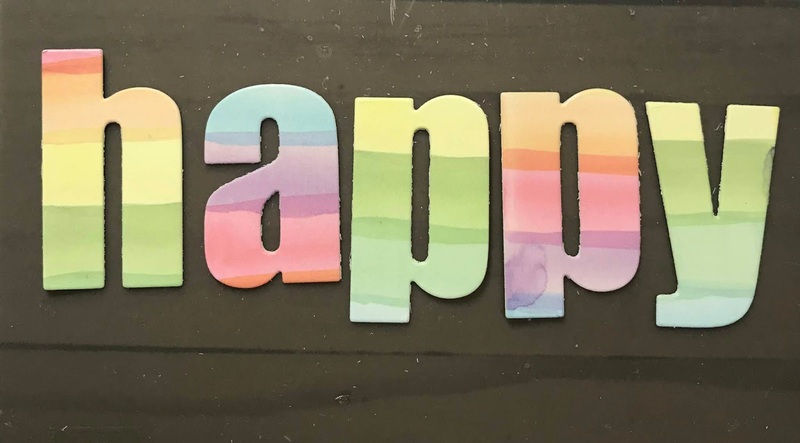 I also die-cut the 'happy' word several more times to stack the letters and create a thick letter. 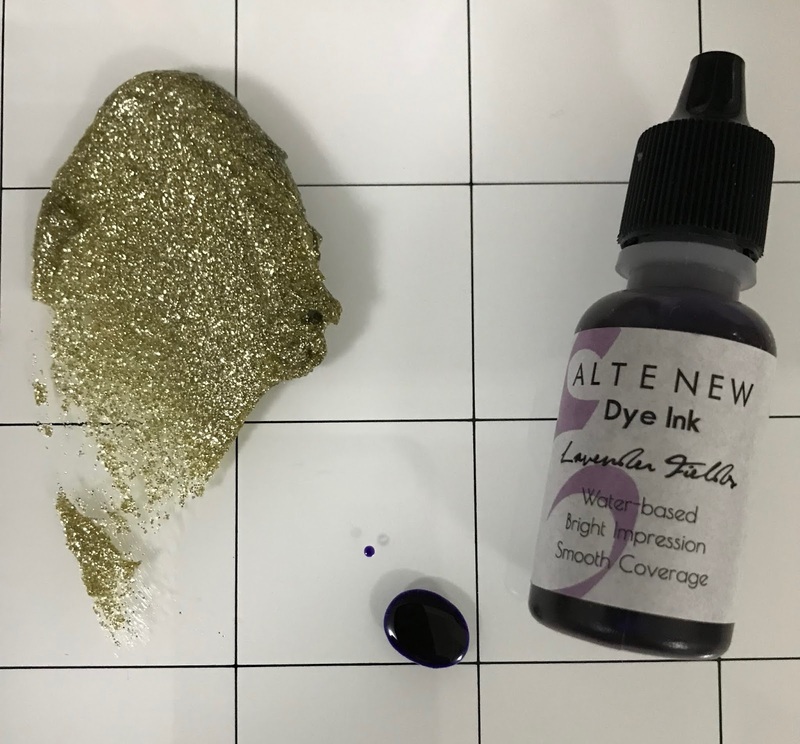 and pull out the glitter paste. 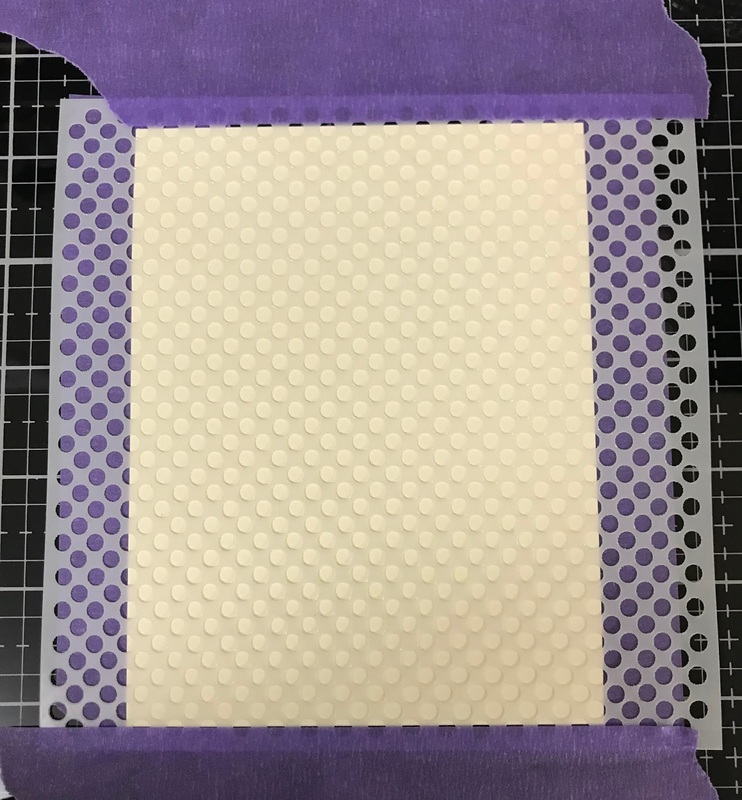 I wanted to use clear paste but when I opened it I found it all dried up, so on to the next choice. 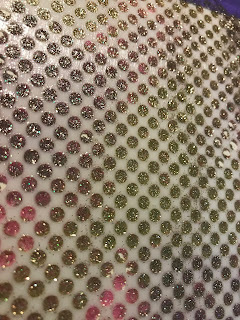 I picked Nuvo Pink Opal and Golden Crystal glitter paste. I also used Altenew Lavender Fields re-inker to colorize the gold paste. 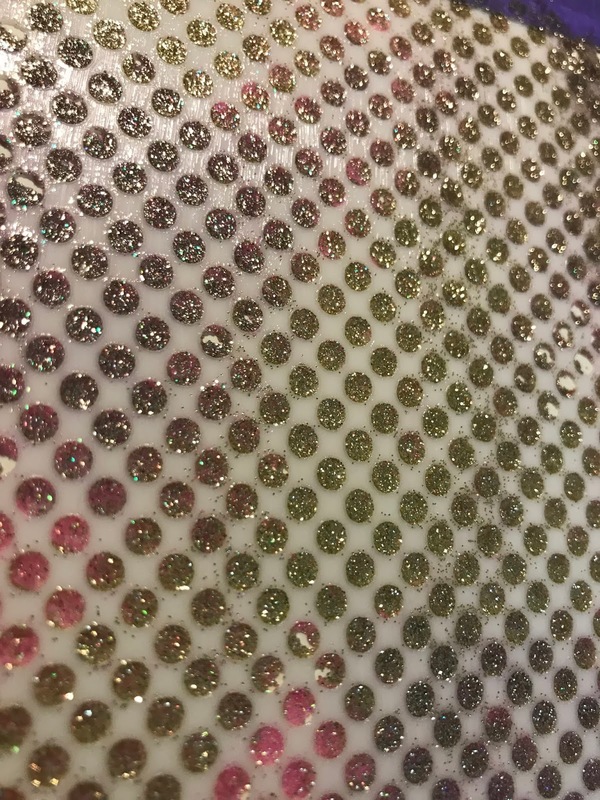 You can see the pink, gold and purple glitter. 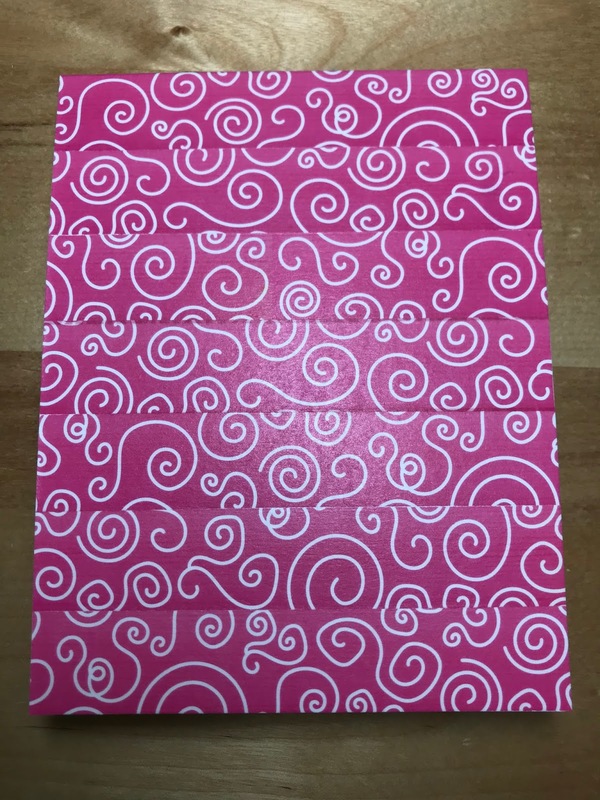 I adhered more washi tape to paper the width of my card and then cut in two. 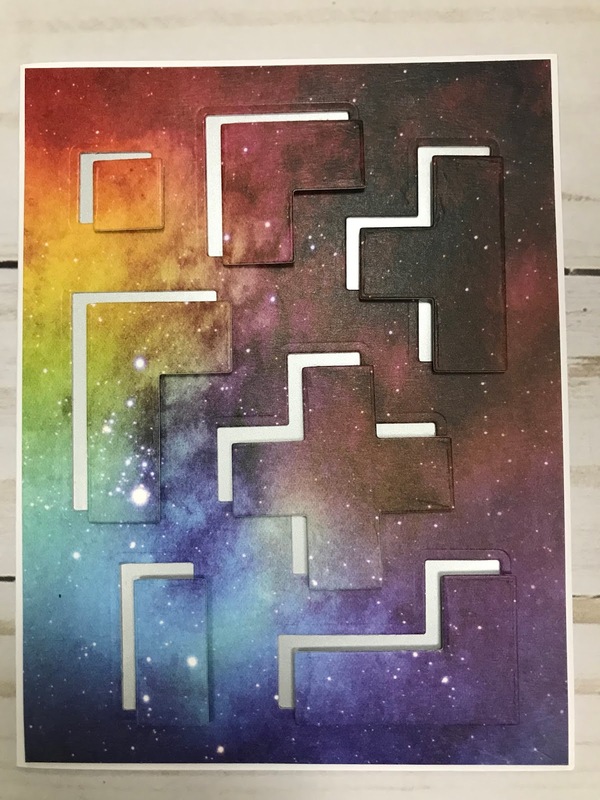 Placing one piece at the top and another at the bottom. I used a good strong liquid over the glitter paste. 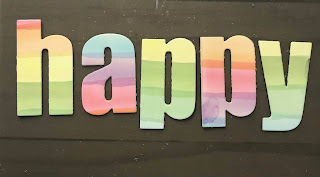 I also adhered the 'happy' in the center along with the finishing touches. 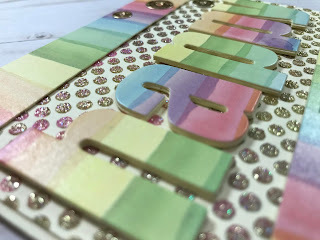 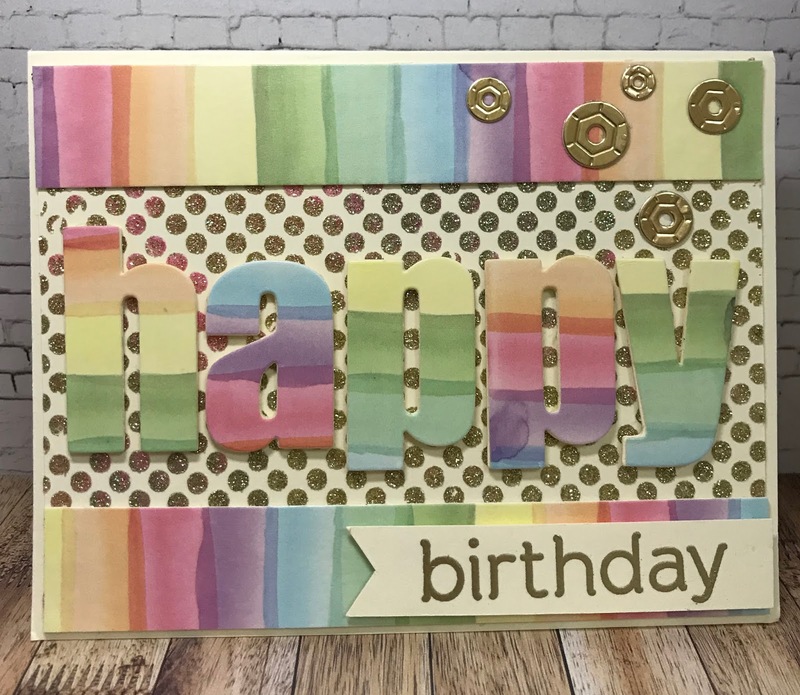 Gold sequins are from the Altenew Party Time Die and a sentiment from Altenew Birthday Builder. 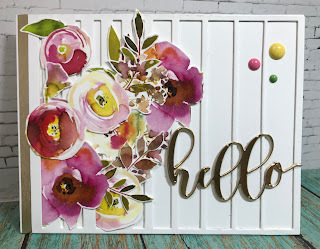 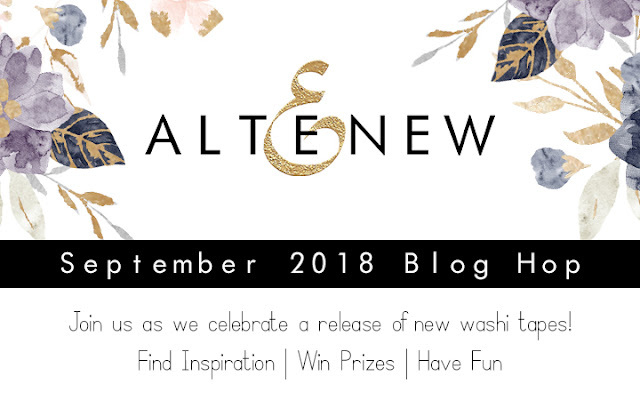 Thanks for stopping by and joining the Altenew Washi Blog Hop, if you have not visited all participants in the blog please feel free to go to the beginning. 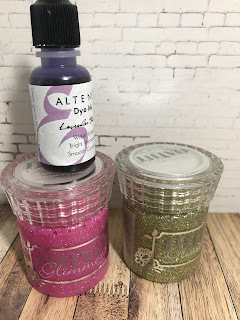 How would you like to win a $30 gift certificate to Altenew? 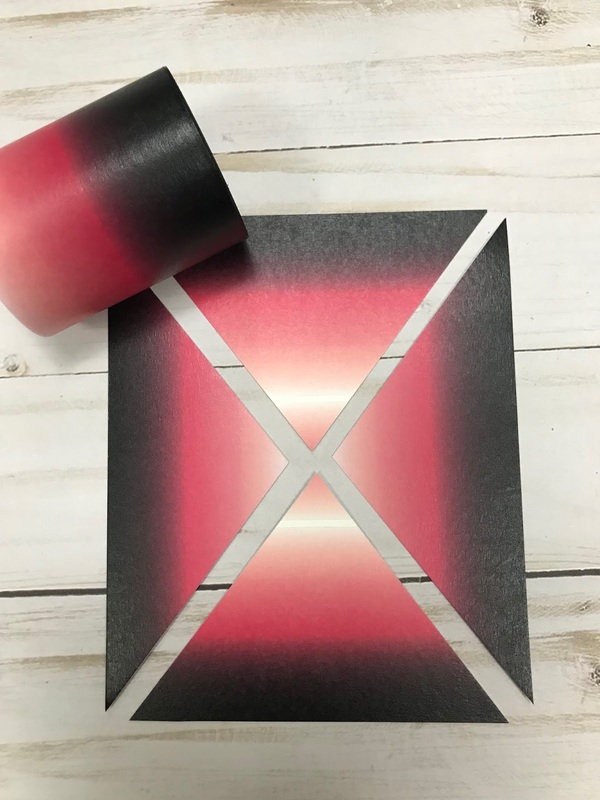 For your chance, leave a comment here by 10/03/18 and let me know your favorite new Washi tape from this release. 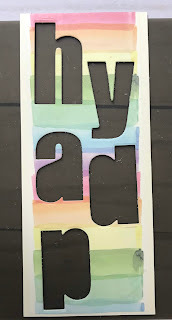 The winner’s name will be randomly selected, and posted on my blog.